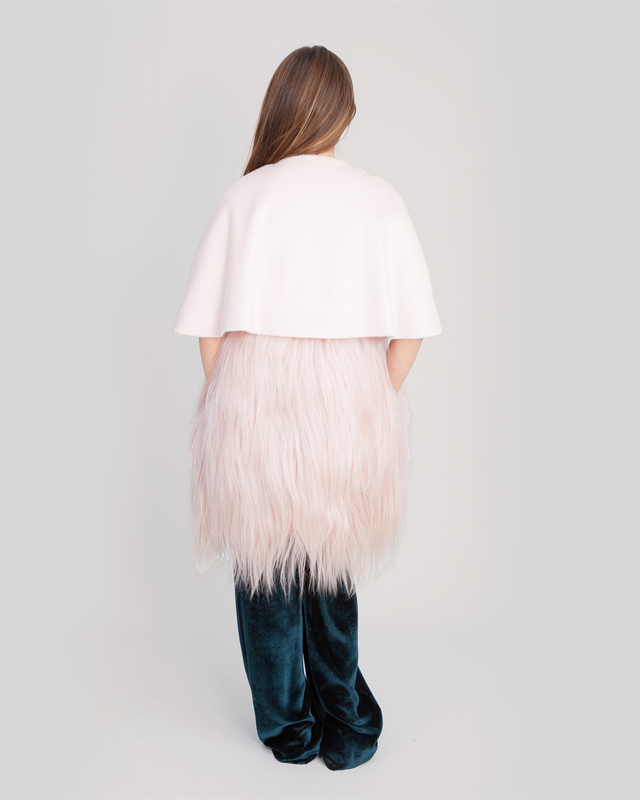 The Genny-signature wool cape with fur insert has an original and sought-after style. 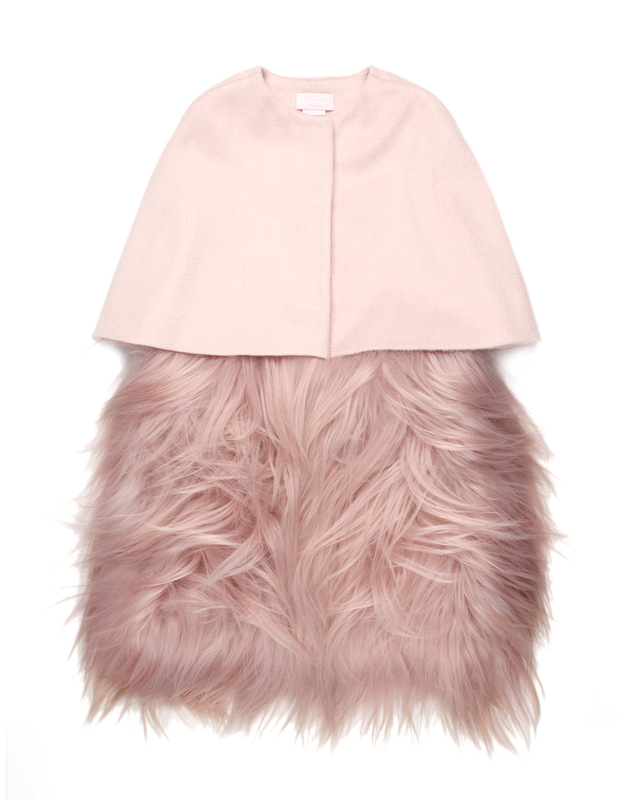 In a refined shade of pink, the semi-fitted cape's fur insert commands with a unique and sophisticated style. Perfect for wearing paried with your mom's outfit.